Updated Tuesday December 18, 2018 by Marc Green. Forks Softball is pleased to announce our First annual Skills & Drills Pitching clinic. My name is Marc Green and I am the commissioner for Forks Township Softball. For those of you whose daughter(s) are returning for another GREAT season, welcome back and for those whose daughter(s) are playing for the first time welcome! The goal of the program is to provide an instructive and positive experience for the girls while also teaching them teamwork and sportsmanship. I believe we have one of the best programs in the area, where we balance both the natural competitiveness of the sport with the fun and enjoyment that comes along with playing with their friends and making new ones. If you have any questions or concerns, please feel free to contact me at forks_softball@yahoo.com. I am looking forward to another great season and please check the website periodically for more information before, during and after the season. GO FORKS!! January & February are the months for softball signups. ONLINE ONLY . Please go to main page www.forkssports.org for signup info. Forks softball holds one non-mandatory fundraiser for all teams per season. If you would like to be added to the Forks Township Softball email list, please send an email to forks_softball@yahoo.com. Forks Township participates in the Eastern Lehigh Valley Softball League (ELV). The ELV is comprised of surrounding townships/municipalities and rosters over 100 teams at various age levels. There are both competitive (ages 9-19) and non-competitive (ages 5-8) teams for players. 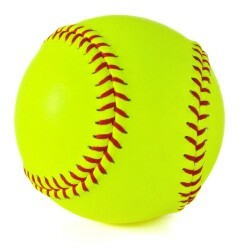 More information can be found at the ELV website: www.elvsoftball.org.